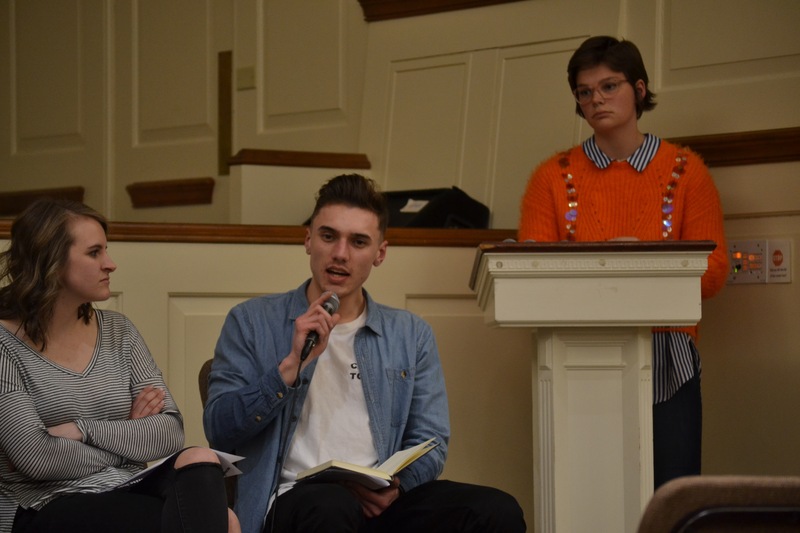 On Wednesday night BSU teamed up with SAB and SGA to host “Waking Up White” in Hostetter Chapel. The event was designed to be a discussion starter for white students centered around conversations of racism and privilege. Annamarie Lively discusses racial reconciliation. Annamarie Lively, the PR coordinator for BSU, said that the club was getting questions from white members on how to start conversations regarding race with friends and family, which sparked the idea for this event. Junior Michael Caswell, a member of BSU, opened the event by sharing that he has witnessed some of his closest friends experience racism, even on our campus. “Ignorance is everywhere,” Caswell said. The night began with a simulation. Leaders handed a card to each attendee, but no one could view their own card. As we walked around the room, we had to ignore anyone with a two, be friendly with some higher number cards and show respect to face cards. By the end of the simulation, people had a fairly good idea as to what card they had. The event transitioned into a time for small group discussion. Leaders directed questions regarding where we see racism, and how we react to it. The groups were designed to be safe spaces for students to share their experiences and ask questions. The floor then opened up for groups to share the direction of their conversation with everyone in attendance. Pictured: Jenny Wooley, Adam Barone and Toby Doyle. 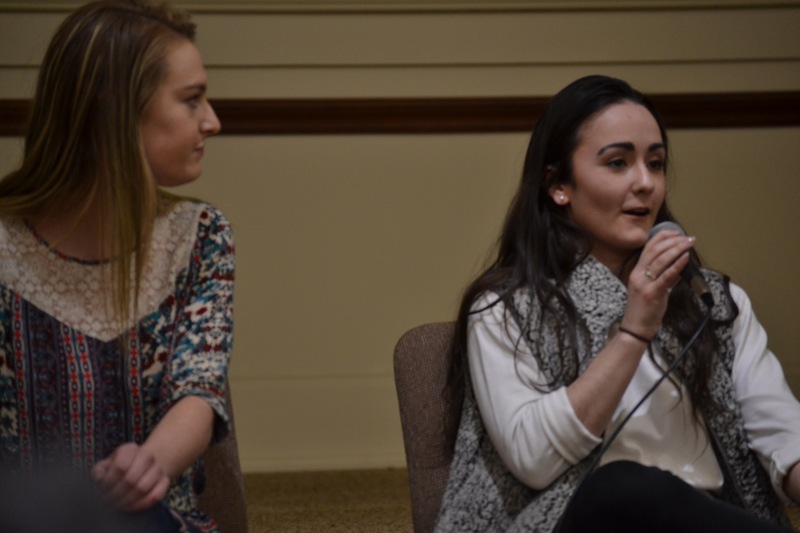 A panel discussion closed the event, with representatives from BSU, SAB and SGA. Junior Toby Doyle acted as a mediator for the event, posing questions to panelists Annamarie Lively, Kelly Shea, Paula Holtzinger, Megan Eaton, Jenny Wooley and Adam Barone. Shea encouraged students to go outside their usual cliques, and Eaton agreed, urging white students to get involved with multicultural clubs. “It’s gonna be hard,” Eaton said. 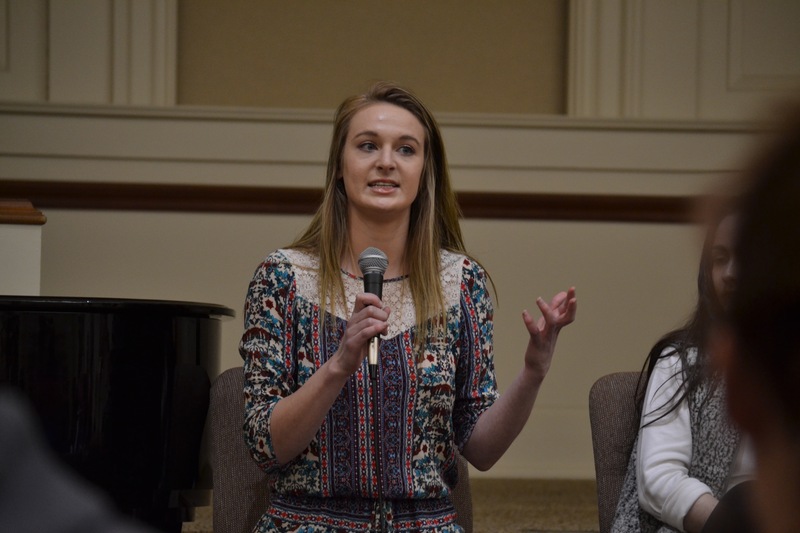 “You’re going to feel like a minority, but that’s okay.” Wooley added to this, saying that before coming to these events, students need to recognize their own biases. Kelly Shea takes the mic. Sophomore Jordan Sponsler attended the event because he has become more interested in the topic of racial reconciliation. He found the discussion centered around the ‘N-word’ to be enlightening, saying that he realized students of different races don’t share the same experiences, and we need to be aware of our limitations.